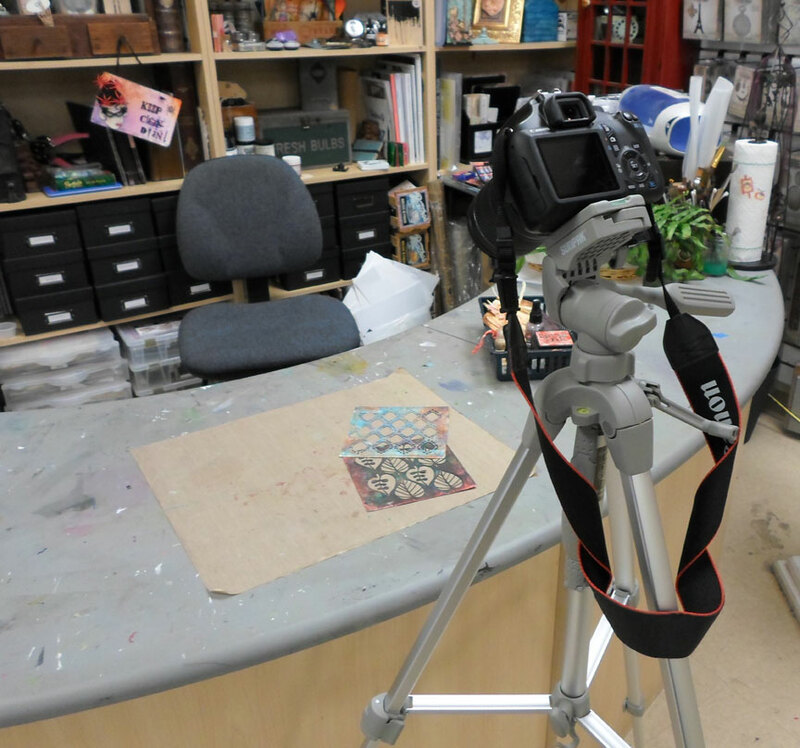 Thanks to everyone that took the time to email me or leave comments either here or on facebook about how much they enjoyed the technique. I have some other ideas brewing with Liquid Pearls . . . . 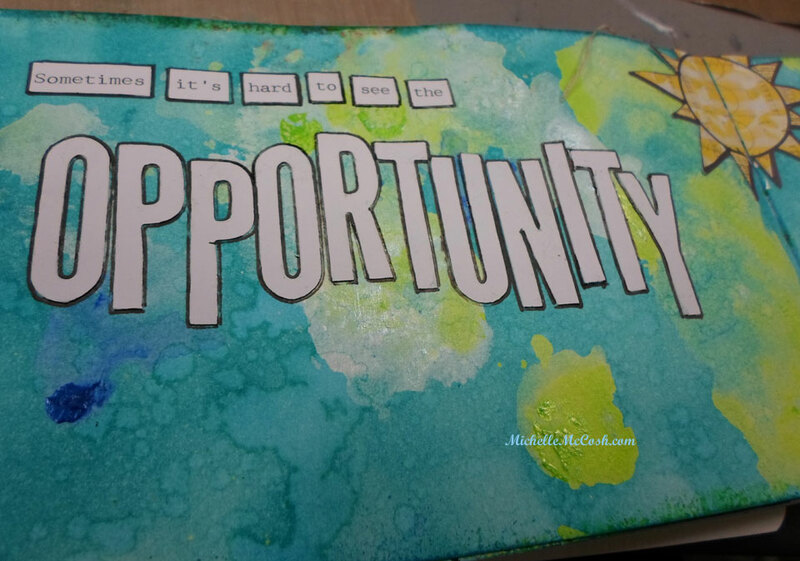 I made an Art Journal Page background with this same technique just using different colors of Liquid Pearls and Distress Ink. It is so hard to get good photographs, the shimmer from the pearls is amazing. 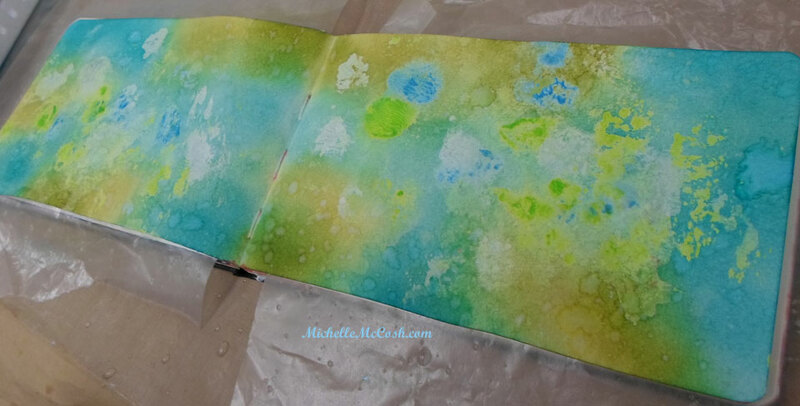 I introduced the technique to my A2Z Art Journaling group this weekend and everyone made fantastic backgrounds in the class. Here are some of the backgrounds. I love how everyone chose different colors and they all turned out so beautiful. I really hope you will try this technique a try. 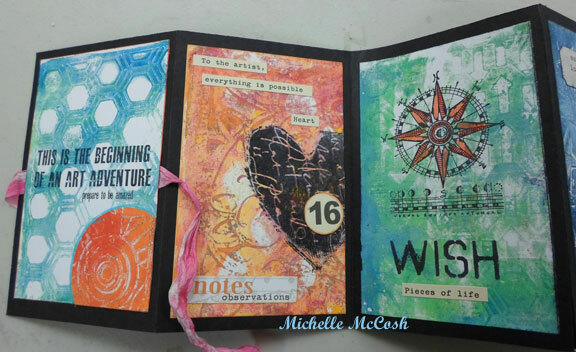 I am so beyond thrilled to tell you that I have a card featured on the Ranger Ink blog today. I have loved Rangers products since I started crafting many years ago and to have them place some of my art on the blog is a huge thrill for me. This is the card I designed. 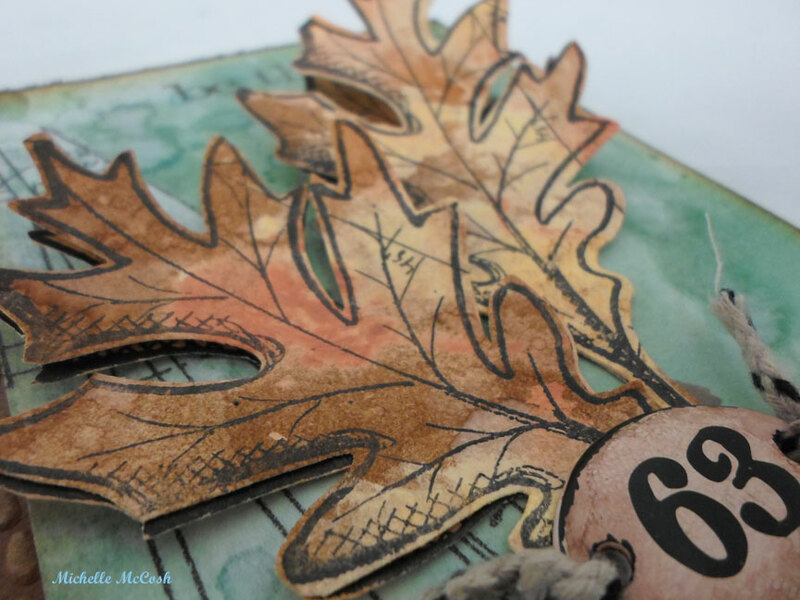 I used products from Ranger, Sizzix, Wendy Vecchi, Tim Holtz, Advantus and Coordinations. The photo does not do the leaves justice. I used a Liquid Pearls resist technique on them along with Distress Ink and the vibrancy on the leaves is fantastic. It was so hard to photograph. Here is the link to see the card complete with directions. 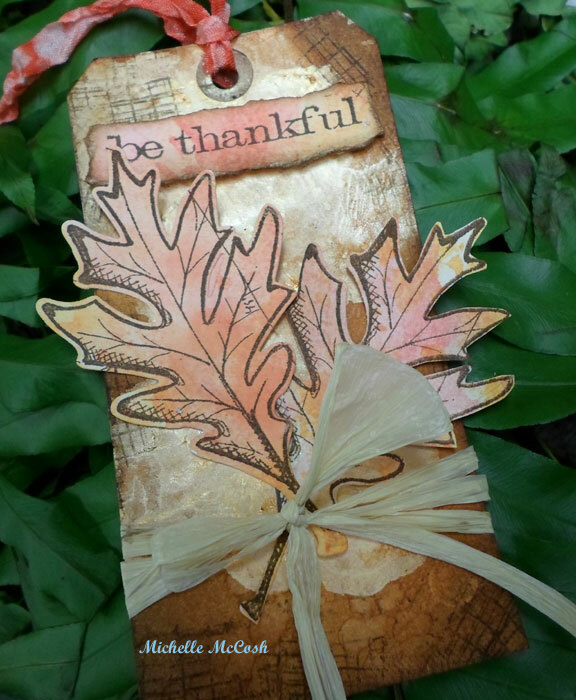 I am doing a Make n Take later today at Everything Scrapbook & Stamps in Lake Worth (South Florida near West Palm Beach) showing this technique on the background of the tag. If you are in the area please drop in between 5:30pm to 7:30pm. It should take about 20 minutes to complete. 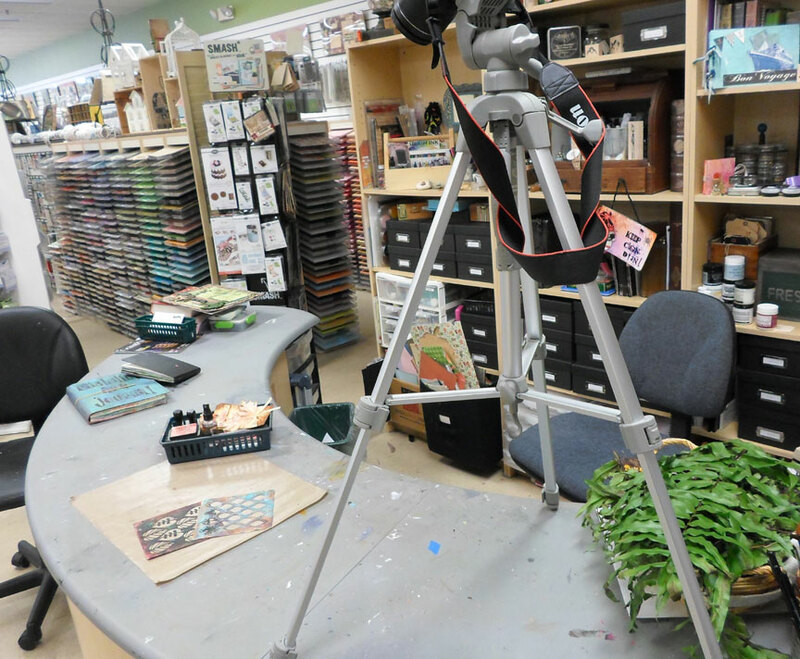 This is the Make n Take we will be doing. 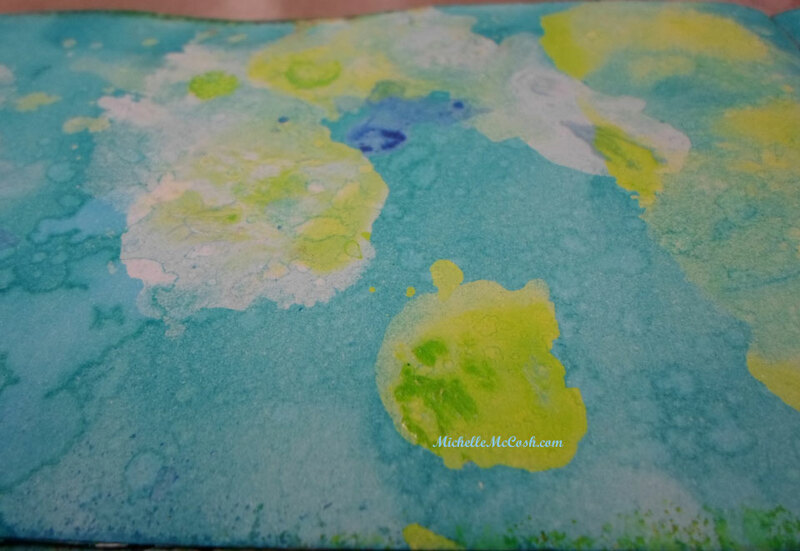 It is no secret that I love my Gelli Arts Printing plate. 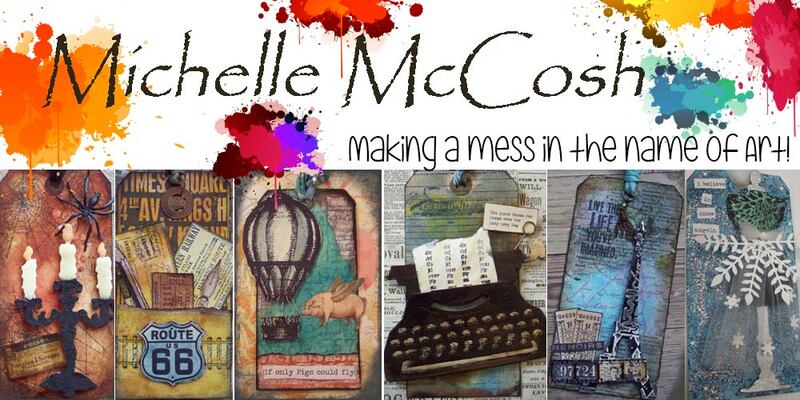 I am always telling people how I love my Gelli Plate and I get asked all the time what I do with all the Gelli Print Papers I make. I will admit that I do make a lot of prints and not just on paper (but I am saving that for another post). So I thought I would show you another project I made with some of the prints. 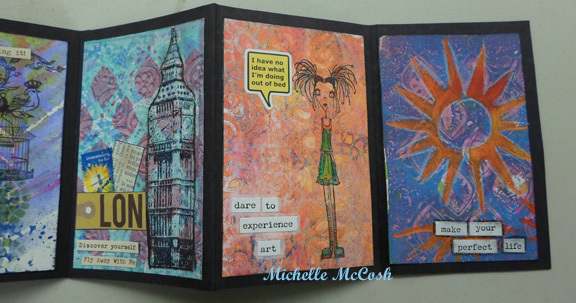 Here is a little accordion book filled with prints, stamps and quotes. 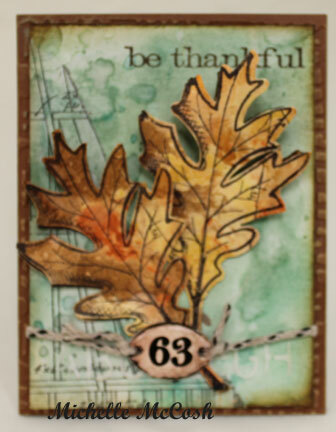 Stencils used are from Crafters Workshop and the Stamps are from Dina Wakley, Wendy Vecchi, Tim Holtz and Stampotique. 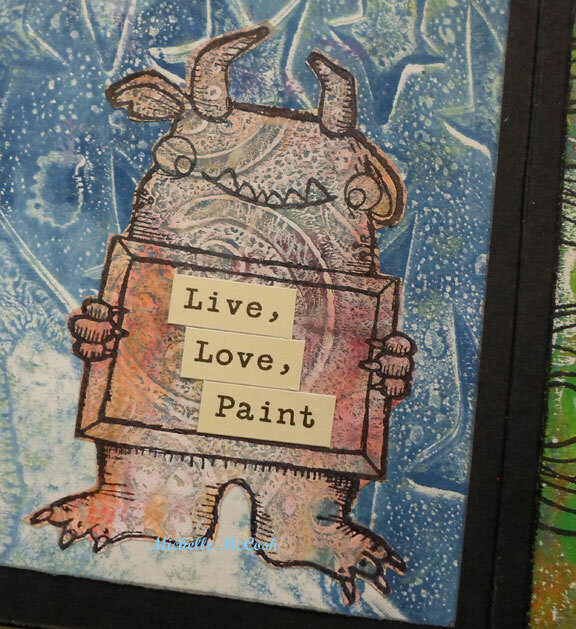 I love this Monster stamp by Stampotique. 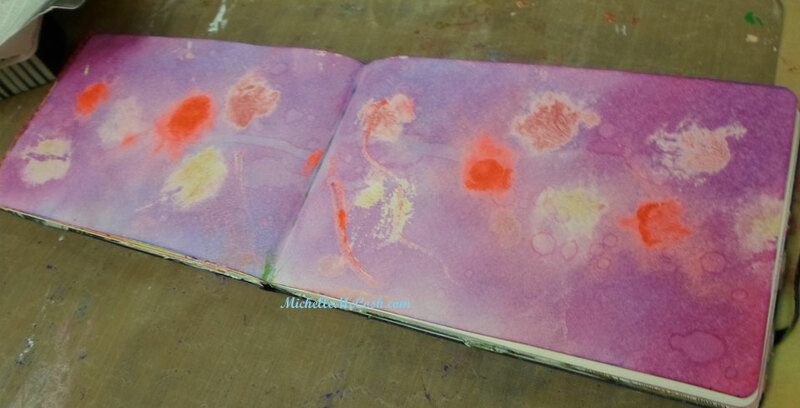 I stamped him on a Vellum Gelli Print,and cut him out, no extra coloring was needed. This is a close up of my favorite print. There are so many layers in this print and I am kicking myself that I did not scan it first as I think it would make a fabulous background paper. Oh well, live and learn. 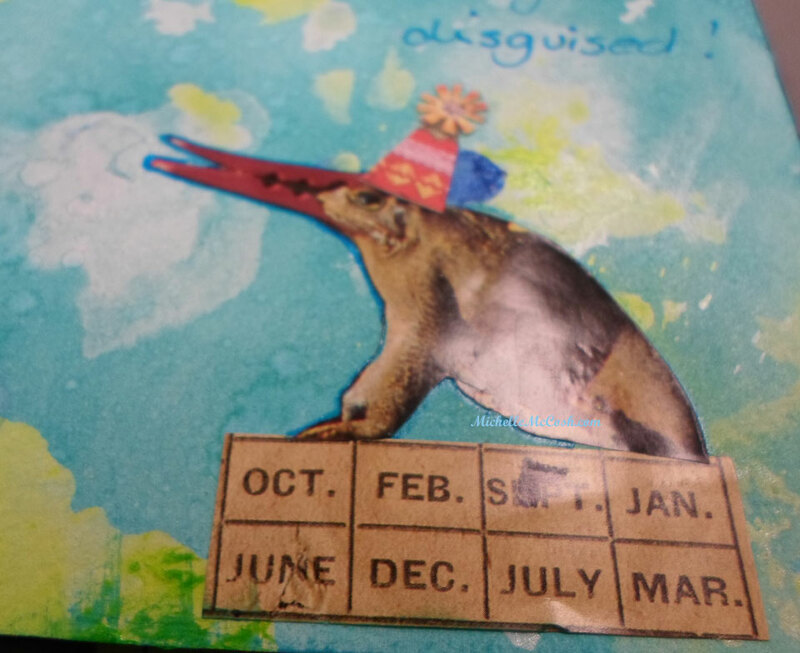 Recently one of my friends saw me making prints and was not impressed, she thought they were “ugly” but when I showed her what could be made with them she got it. 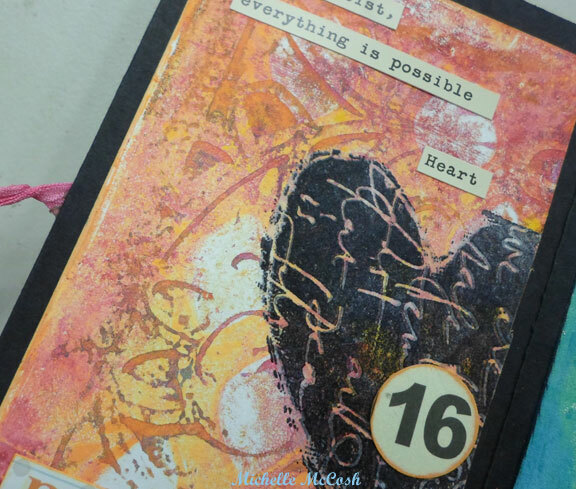 I love to make these little books filled with Quotes, they make nice little gifts that can cheer up someone’s day.